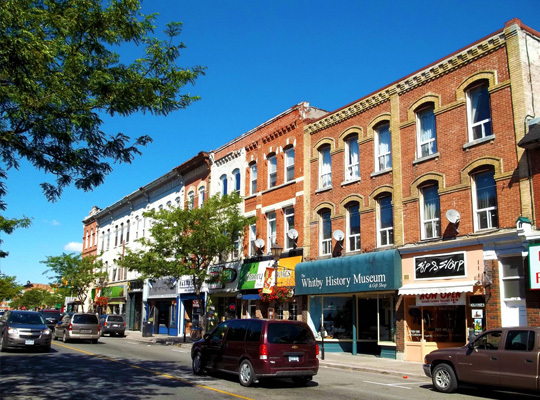 Sitting on the north shore of Lake Ontario and priding on its beautiful nature, Whitby gives you plenty of reasons to want to sit in your car or book Whitby black car nearby and do a little sightseeing on your days off! The limo service in Durham region is very sleek, reliable and professional, so next time you are searching for a “limo service near me” by location be sure to pick the team that will make all of your rides worthwhile. Our fleet is comfortable, spacious and totally jaw-dropping and our rates are fantastic! VIP limo 4you signs affordable limo rentals known for the excellence in passenger transportation! With such a wonderful nature of Whitby, who would want to stay in, right? If you feel like skipping the regular Whitby sightseeing tours and go around town on your own terms and sightseeing preferences, book a car on demand on do so! Choose the black car of your dreams and let the fun begin! No matter how many places you want to see or how far away they are from each other – your driver will be happy to indulge your requests! Go anywhere from Lynde Shores Conservation Area and Heber Down Conservation Area to the phenomenal Golf Courses and Jeffrey St. Off Leash Dog park for a little dog love! You can stop at the locals’ favorite location – Five Paddles brewery or Brock Street Brewery for a cold beer and end your day having a meal at Dinner Theaters. Next time your business takes you out of or to Whitby, know that you’ve got a reliable business partner to count on for your corporate transportation. VIP limo 4you limo service Whitby to Toronto is designed and customized for all of our business clients with the idea to ease their already busy schedules and hectic workdays. With our Mercedes-Benz S-Class, Lincoln MKT, Cadillac Escalade, BMW 7 Series, GMC Yukon, Cadillac XTS and similar models – what’s there not to like! No matter the function you are visiting, you’ll be getting a luxurious but safe, pompous yet comfortable ride that will make an everlasting impact on your clients, potential investors along with all of your other business patrons. If you are already in Toronto or anywhere in the GTA and need a direct limo to Whitby, Ajax, Brampton, Oakville, Richmond Hill and other GTA areas, VIP limo 4you is at your service for that, too. All you are to do is contact our dispatch team, give them your preferred route specifics and enjoy the coziness that comes with your favorite “local limo service near me”. Got a plane to catch but don’t have a secure airport transportation? Worry not: VIP limo 4you is your team to call. Our limo service Whitby to Pearson package is customizable and will make your airport pick up/drop off pleasing, easy and carefree. Our reasonably priced limo rental services near you won’t hurt your wallet at all but will provide such an amazing airport limo Whitby arrangement that you’ll regret having to get out of your black car once you reach the airport or your home. Discover the most reliable limousine service in Whitby, ON by booking your on-demand ride with VIP limo 4you! There is a long list of reasons for booking VIP limo 4you and you know them all. The most important one? Our team is always there for you.